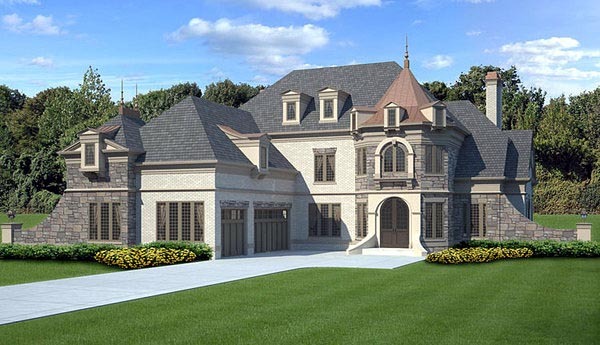 This is a grand home that captures anyone’s attention with its tasteful use of brick, stone on the impressive exterior. The real beauty of the Hennessey House Courtyard lies within… its remarkably luxurious rooms are arrayed in a practical design that allows for magnificent living, impressive entertaining and incredible views. This home is ideally situated where you have prized views be it a lake, a river, mountains, golf course or formal gardens, as the potilia offers many vantage points from its elegant interior. 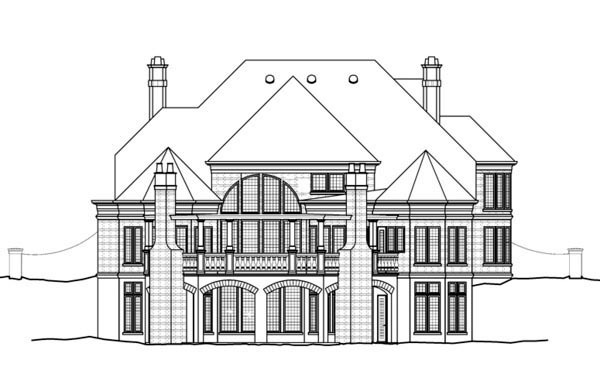 The Hennessey House Courtyard is a masterpiece unto itself with a circular foyer and spiral staircase, towering two-story ceilings in the grand salon and dining hall and coffered ceilings in the spacious keeping room and cozy library. The master is on the main floor with an additional three bedrooms upstairs. The upper floor also includes a large Bonus room (perfect for a home theatre) and ample attic storage space.